Welcome to my web-site. This is the Amazing Vijay and I am glad you found me. I live in the Northern California Bay Area and have been performing magic shows for over 25 years. As a magician serving San Jose, Los Altos, Saratoga, Santa Clara, Cupertino, Sunnyvale, Mountain View, Palo Alto, Menlo Park, Redwood City, Foster City, Milpitas, Fremont, Hayward, Union City, San Leandro and the greater San Franscisco Bay Area, I am quite busy on weekends making both children and adults happy. I can also come to Pleasanton, San Ramon and Livermore areas. I know what you are thinking - "Magic is just for kids ...". This is exactly the impression that I have to overcome everytime I perform. But I am happy to say that if you see me perform even one effect you will realize that more than anything "Magic is Entertainment". In fact, it is clean, fun filled, wholesome entertainment for the entire family. And yes, when you see that spoon bend or that ball disappear in front of your eyes, you will be amazed too! In my magic shows, I try to make it interesting and informative since we touch on a variety of magical effects. Here are actual reviews by real customers posted on Google Local (Click for more reviews). "Absolutely fantastic. The kids at the B'day party really enjoyed the show. As a host, I couldn't fully enjoy it, but I can see the happiness in the face of kids who are truly enjoying it. 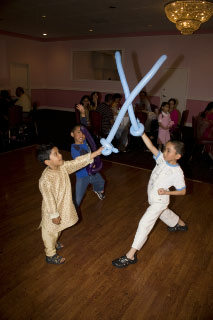 I would highly recommend Vijay show for any kids event." "I organized a company party that had about 20 kids and 80 + adults. The Amazing Vijay did a great job! He mingled with the attendees while providing private magic shows among the crowd. The show he had for the entire party was very entertaining. He was very funny, personable, and is a great magician!" I am a part-time professional and perform regularly at various parties and events in the San Francisco Bay Area. Most of my performances are for private birthday parties and other family events. I also perform every year at public events, schools and corporate holiday parties. I have performed in schools, for day care facilities, libraries, religious institutes, community parks, etc. I can do a regular stand up magic show or walk around and perform initimate close up magic for your guests. Since I try to make my show a bit educational, both adults and Kids learn something new in my shows. I can end my show by twisting balloon figures like Swords, Rabbits, Dogs, Flowers, Birds, Hats, etc. for all the children. Magic is a wonderful hobby and it gives me a lot of pleasure to entertain kids and adults on a regular basis. If you are having a party, I strongly recommend that you consider hiring a magician to entertain your guests. It is a great way to bring everyone in your party together. I can come to your home, a restaurant, a community center, a park or a school to perform my show. I have a lot of fun performing and my audiences seem to have a lot of fun watching. What more can I ask? "The Amazing Vijay was... amazing! He kept a crowd of 4-6 year olds entertained and laughing for a good length of time. Several parents came up to me after and told me what an excellent entertainer he was to young and "old" alike!" "I just wanted to send out a little note of thanks on behalf of my family. They really got a kick out of your show. It had a nice sense of humor mixed with a variety of fun magic tricks." "We really enjoyed the show. My son said this was the best birthday party he had." I offer different types of magic shows and walk around magic catered to your exact needs. I have done hundreds of shows and you can rest assured that the magic will fascinate your audience and people will have a wonderful time. 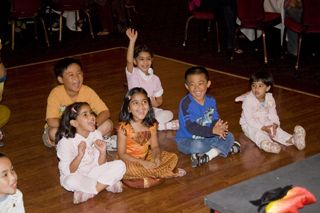 Young or old, people love magic shows and definitely find them highly entertaining. amazingvijay@yahoo.com to get more information. Click here to get more information about the types of shows I offer. If you are still more curious about exactly what happens in a magic show, do read my blog on Google to get some idea of the shows I have done recently. 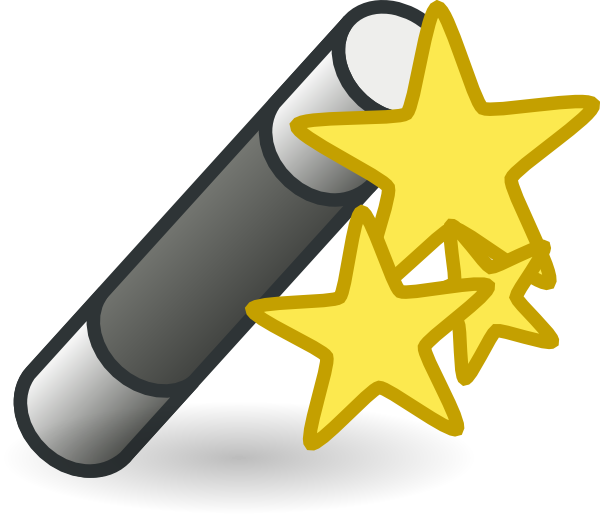 If you are interested in magic as a hobby, do read my web-page about various resources at your disposal to develop and grow in the art of magic. I have other pages which talk about Online Magic, Math magic, Jokes and my other interests like photography. 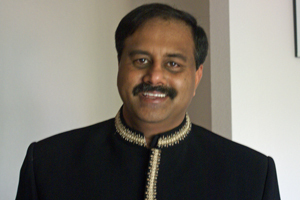 This is the website of Amazing Vijay, a magician serving the San Francisco Bay Area. Providing Magic Shows For Birthday Parties, Special Events, Corporate Events, Holiday parties and Company Parties in the San Francisco Bay Area. He works in San Jose, San Francisco, Los Altos, Los Altos Hills, Atherton, Santa Clara, Cupertino, Sunnyvale, Palo Alto, Menlo Park, Redwood City, Milpitas, Fremont, Hayward and Union City. 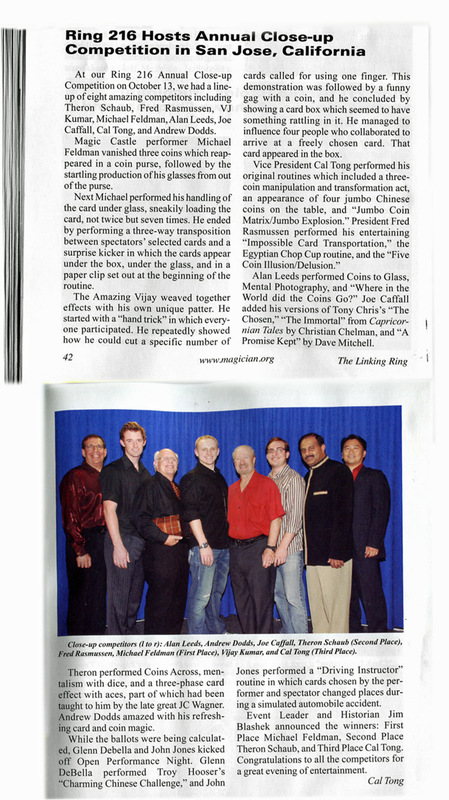 Known as San Francisco Bay Area Magician, San Jose Magician, Palo Alto Magician, Los Altos magician, Los Gatos, Campbell and Cupertino magician.